Functionality of Super Dispatch HoS 1.1. A taste of what will become a full replacement of paper HoS logs. 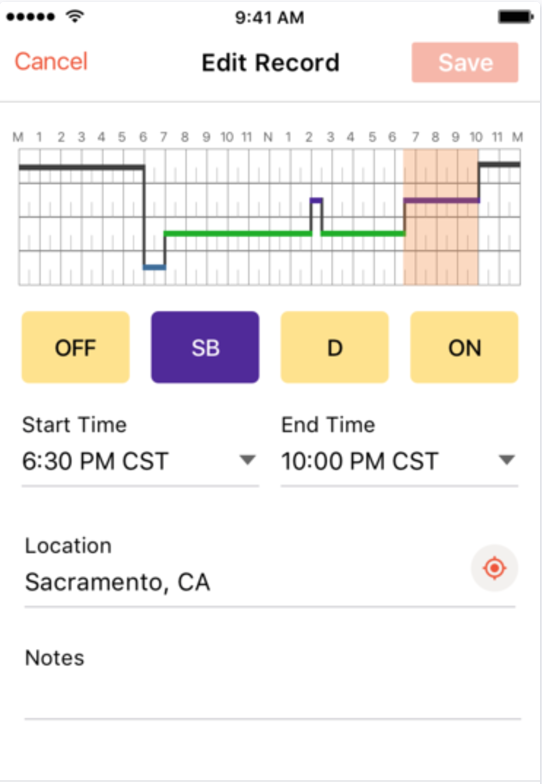 Super Dispatch's HOS mobile application is a full replacement for paper logs. We'll continue to improve the features and functionality based on feedback, but here you can read what functionality is currently available, and how to use it. View the duty status hours for the current day. View the graph display for the current day. 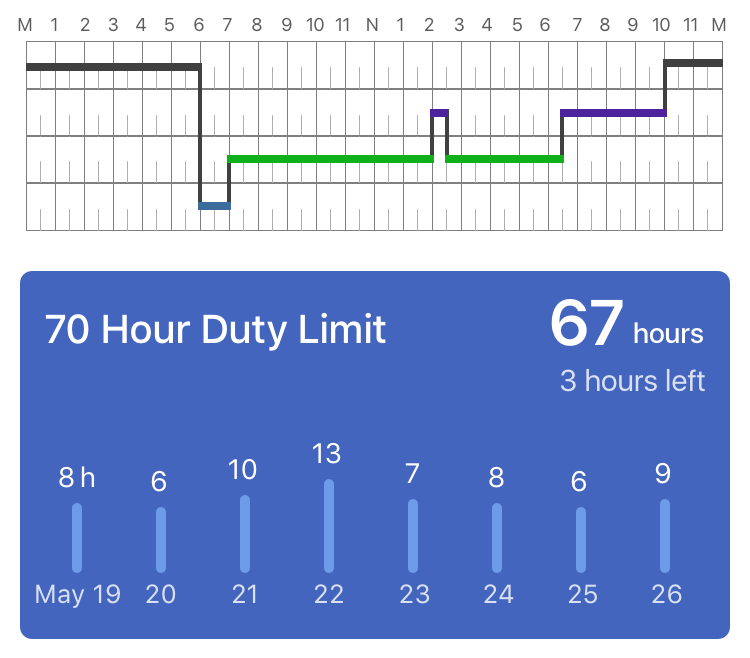 View the Duty Limit diagram for the past 8 days. View daily log records for a day. 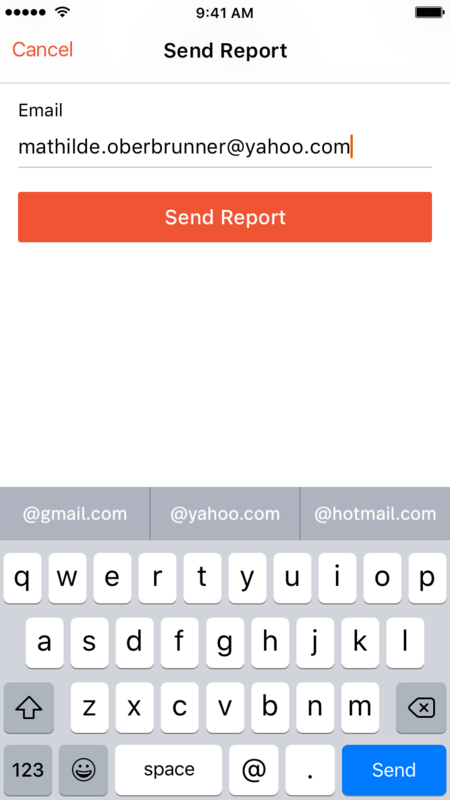 Send a daily log report to an email address. 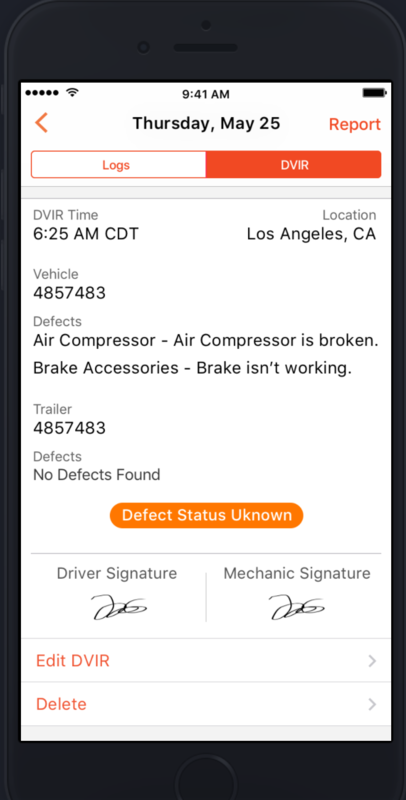 When a driver activates the HoS tab, the app displays the description of the feature. The driver can tap Learn More to review how it works. 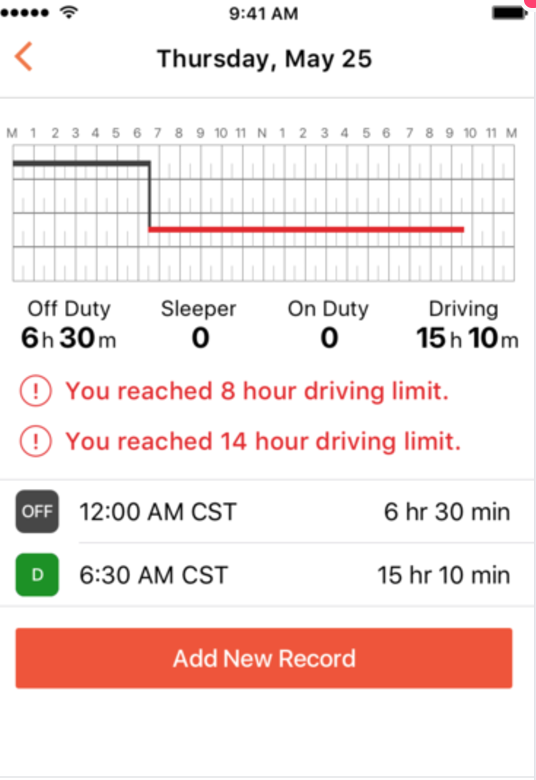 The section displays the current statuses with spent hours; furthermore, the Driving status contains how much time left for driving. Each status has its own color (as can shown in the following 4 clips below). The current duty status can be switched by pressing on any of them. 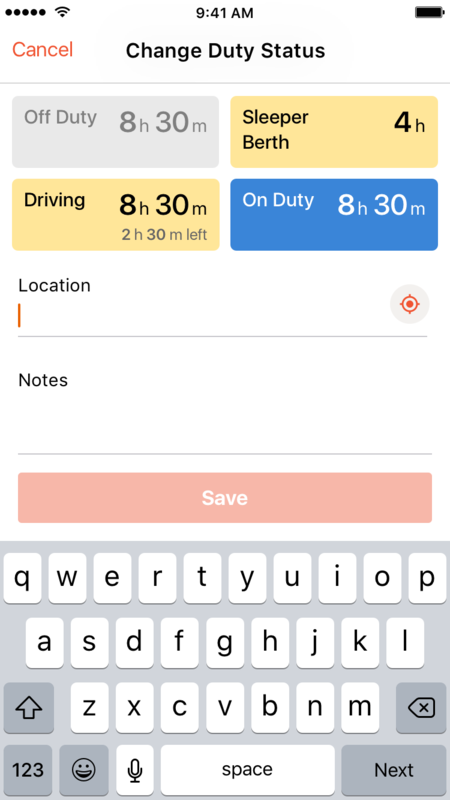 A driver can specify the location and the notes for the status change. Each time you change the status the clock will automatically begin counting against the particular status that is highlighted. 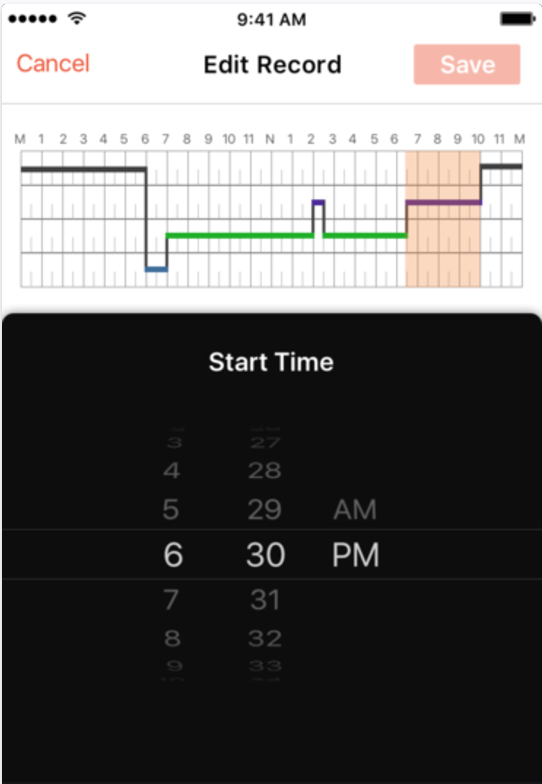 Real time graph display for the current day is displayed after the duty statuses section. 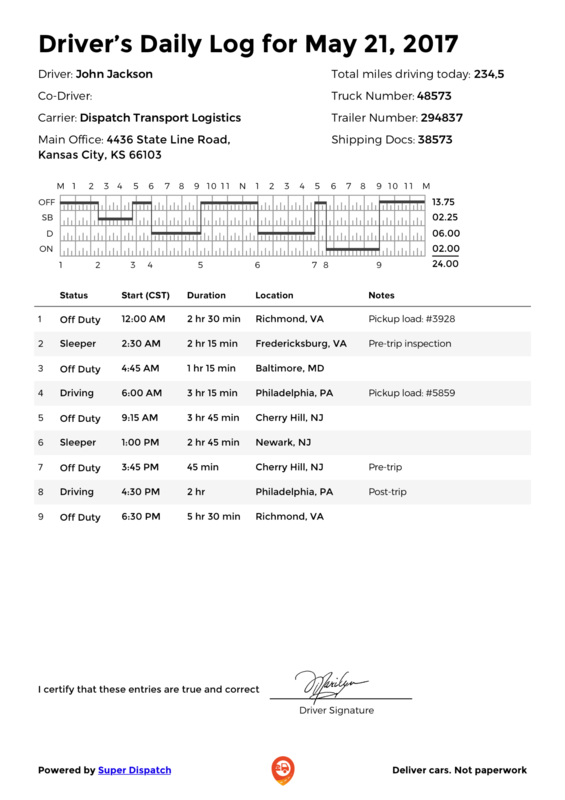 A driver can view log records for the day by tapping to the graph display. The graph display gives more familiar view of the day. 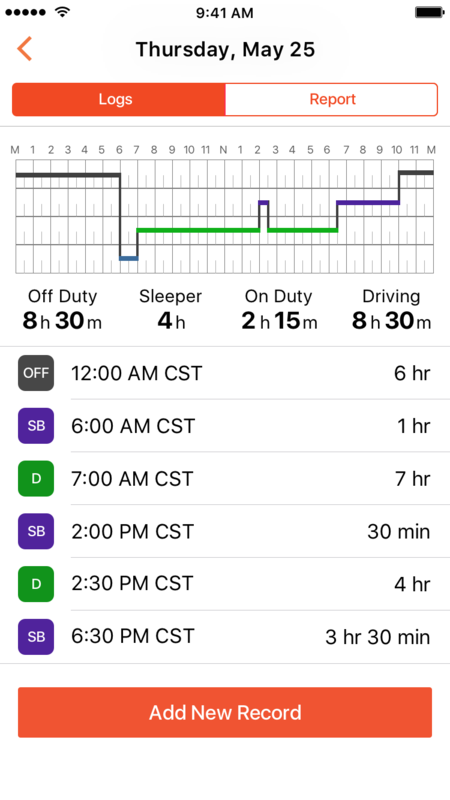 The 70 Hour Duty Limit section is designed to show available and spent duty hours to a driver. It contains a 8-day period (or, 7-day period). The section contains the list of the records for past 8 days (7 days). 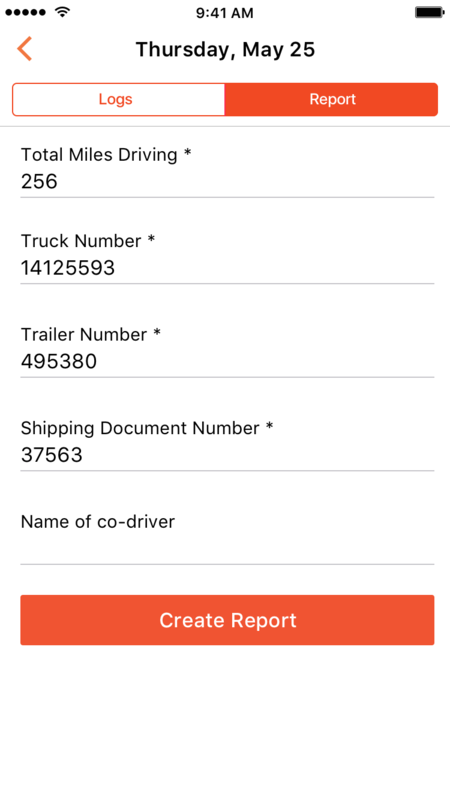 A driver can view the detailed records for a day by tapping a list item. The records are not editable now. 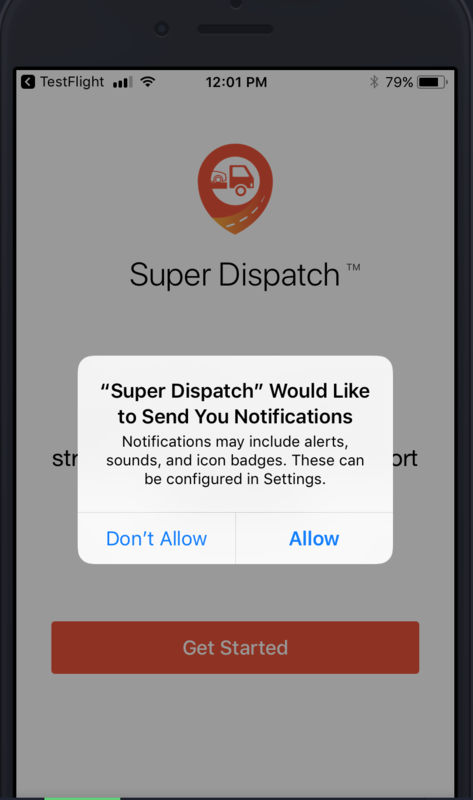 To begin receiving notifications a driver must first *allow* Super Dispatch to send notifications to their mobile device. 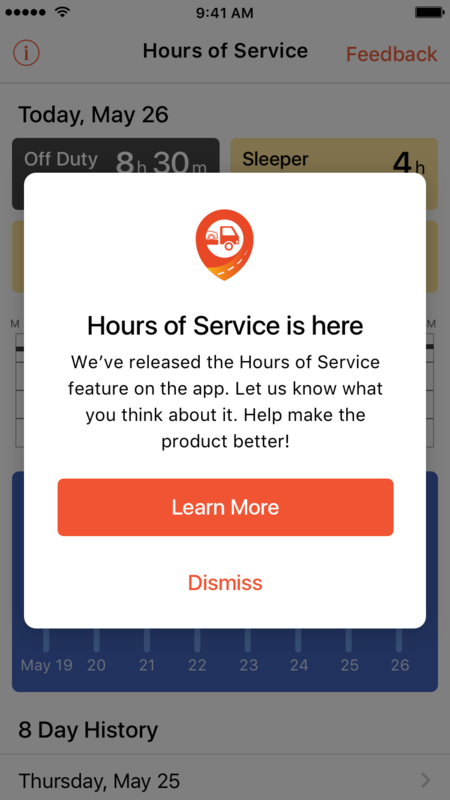 A driver will be prompted once they activate the HOS feature, but if they choose *don't allow*, they'll need to follow device specific routine to turn app specific notifications back on. Notifications will either be sent in-app, or via push notification - depending on whether or not the driver has the mobile app open or closed. 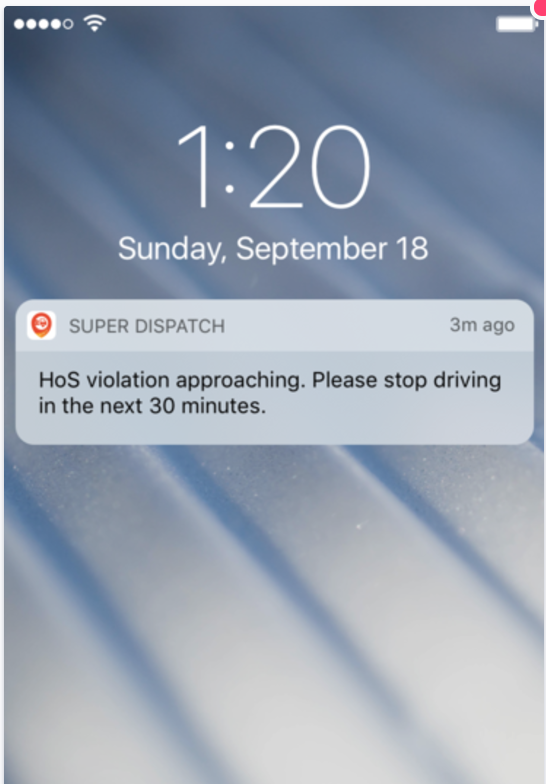 Notifications are activated two ways; 1) when approaching a violation, and 2) once you've satisfied an HOS rule. 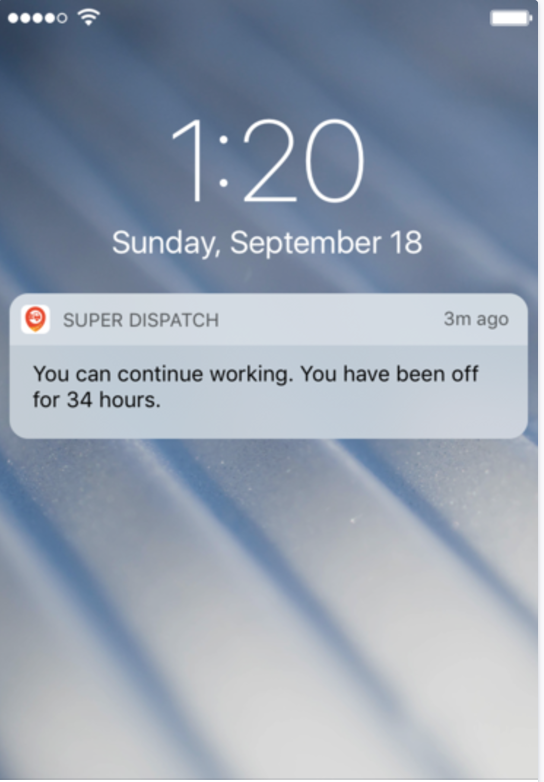 When approaching a violation, you can expect to receive notifications 30 minutes before reaching a violation period, and once again when a violation has occurred. 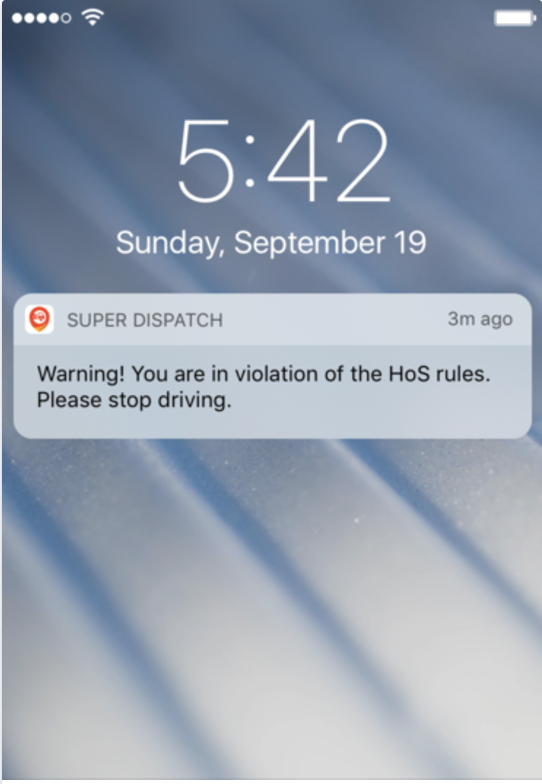 Once you've satisfied an HOS rule you will also receive a notification letting you know that you can begin driving again. Once a driver has completed a day, or is not actively driving, they can make edits to the records. To do this simply select the day --> select the status (off, d, on, sb) --> and then tap the *Start Time* or *End Time* --> scroll the clock to adjust time time --> select *Save*. A driver can generate and send a daily log report to an email address. Before sending a report, the driver should fill out the required fields. A Daily Log report contains most of the required information. Daily Vehicle Inspection Report is a critical part of a drivers daily activities. 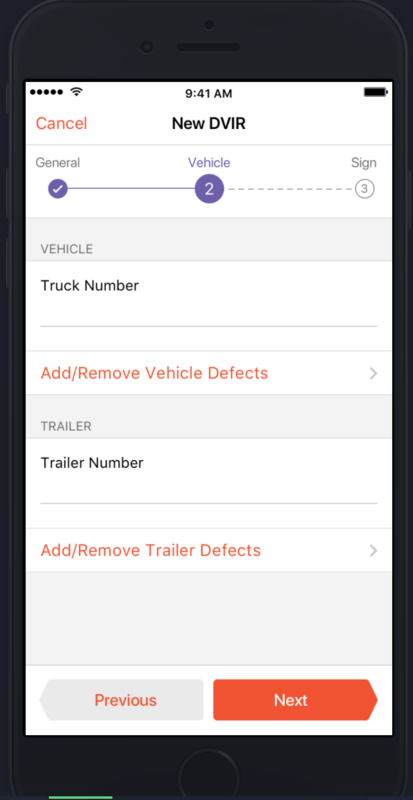 Drivers can use the Super Dispatch HOS mobile app to complete their DVIR as a part of their HOS report. 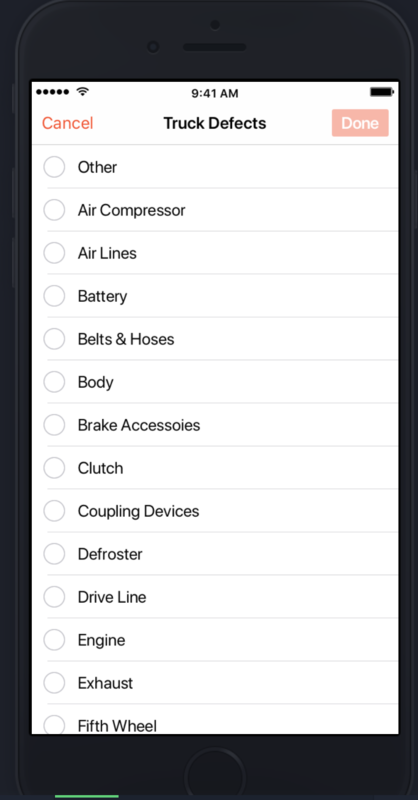 *Add/Remove vehicle defects* - once you select this field you'll choose from a drop down. *Add/Remove Vehicle Defect* - once you select this field you'll choose from a drop down. Once you've signed the DVIR the app will take you to the fourth and final stage. Here you can review the report to ensure there are no errors. Once you've finished the DVIR you can submit this report. If you do notice a mistake, you can simply tap the edit button in the bottom of the screen. We've had a lot of request for this feature, and we're excited to begin getting feedback.